Campobello Island, New Brunswick and Lubec, Maine are two small, isolated communities on the western side of the entrance to the Bay of Fundy, linked by the international Roosevelt-Memorial Bridge. From the North (Canada and northern Maine): Drive south on Route 1 to Whiting then turn left onto Route 189 to drive east to Lubec and Campobello Island. Or take the Deer Island ferry from St. George, cross Deer Island, then take a second ferry to Campobello Island. This route does not involve leaving Canada. From the South and West (USA): From Bangor, take either Route 9 towards Calais and then Route 192 from Wesley to Machias, or Route 1A and Route 1 through Ellsworth to Machias. Leave Machias on Route 1 northwards towards Calais, turning right onto Route 189 in Whiting towards Lubec and Campobello Island. The closest airports are all about 2.5 hours away by road. Fredericton and Saint John are in Canada. 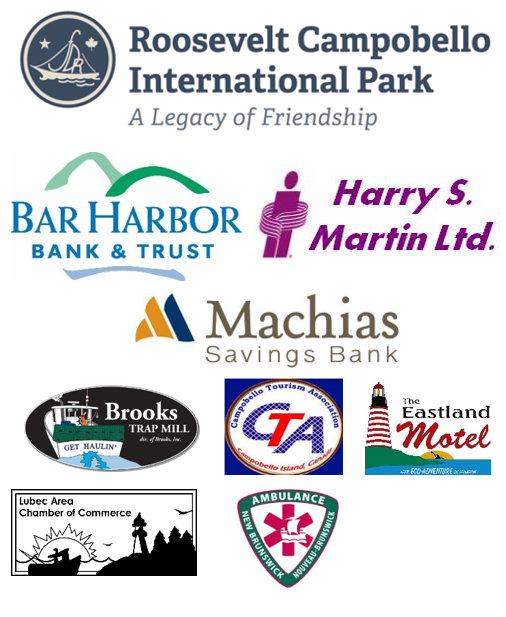 Bangor and Bar Harbor/Hancock County are in the USA. Visit Lubec and Visit Campobello have lots of useful information. For more general information on the area try: Downeast Maine and Acadia and New Brunswick.